“What a Whopper … Sequel to What a Carve Up!? Not really. Two of the same actors. While there are appearances in Number 11 from a couple of What A Carve Up! 's hideous Winshaw family, whose greed, wealth and entitlement causes endless harm not just to individuals but to society itself, it's really the themes and subject matter that link the two books. 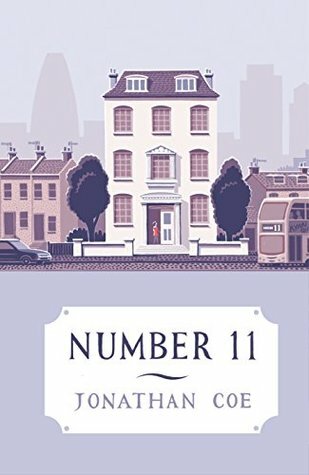 Number 11 examines the current state of the nation - a nation seemingly poisoned by lies and deception from the rich and powerful - and explores the gulf between the super-rich and the rest of us, loss of trust in politics and politicians, and the personal impacts of political policies and ideologies on its characters. Rachel, a tutor to the children of an obscenely rich, tax-avoiding family, is haunted by the death of David Kelly, the first major news story she remembers reading about as a child and which symbolises Britain's transformation into a disturbed nation forever tainted by mistrust. Police officer Nathan Pilbeam solves murder cases by looking at the political context in which they occur. A newspaper columnist delights in tracking down - and destroying - a real-life example of the right-wing tabloids' favourite bogeyman, the 'black disabled lesbian on benefits', while a reality TV show leaves an impoverished contestant traumatised and exploited. The number 11 of the title refers to many things - including 11 Downing Street, a Birmingham circular bus route on which people stay for hours to avoid going home to a house they can't afford to heat, and the bottom floor of a dangerously deep basement extension being dug into the bowels of London under Rachel's employers' home. Moreover, Number 11 is also Coe's eleventh novel; he is rarely averse to self-referential moments in his fiction. There are so many interlinked plot strands and ideas in Number 11 that I can't even come close to outlining them all. Like most of Coe's books, it's full of neat, satisfying connections between people and events. As always, I'm struck by how cleverly Coe constructs this intricate web, yet at the same time makes it feel effortlessly organic. The fortunes of Coe's characters can turn on the misunderstanding of a single word, a small coincidence or a seemingly unimportant detail. A casual reference to a child's sore knee sees her return as an adult with an amputated leg; a waitress's small talk results in her partner going to prison. Coe is also adept at pinpointing the sorts of moments in childhood that shape future interests and even foreshadow fates. (In What A Carve Up!, Michael's story is shaped by the unsettlingly dark comedy he watches at the cinema on a British seaside holiday and can never forget.) My favourite example in Number 11, and possibly my favourite element of the whole book, is Roger, a film critic, who becomes obsessed with tracking down a German film he saw on television as a child in the days when channels were few and short films were often dropped into TV schedules to fill unplanned gaps. Coe understands perfectly how something seemingly obscure and fleeting can leave such a strong imprint on the memory and be so powerfully evocative. Roger's fixation with The Crystal Garden resonated incredibly strongly with me (there's every chance I will one day die in a freak accident brought about by my search for an eerie children's programme called The Bells of Astercote which has haunted me for 35 years. The BFI won't answer my emails) and I don't think I've ever seen the intensity of that kind of experience accurately portrayed before. Film in general is a clear influence on Number 11, and there are various references to films and film study throughout. Characters make comparisons to Psycho, for example, and (perhaps most tellingly) the 70s horror film Death Line also gets a mention. There is even a touch of Quatermass & The Pit about the 11-storey hole being dug beneath the home of Rachel's employer. There is a sinister thread running through the book, with a significance attributed to a playing card illustrated with a grotesque spider, and the ending does have a feeling of a certain type of British horror B-movie. The weird and unnerving often simmers below the surface of ordinary life in Jonathan Coe's work, and occasionally boils over to gain supremacy, giving some moments a somewhat dreamlike atmosphere, as if we as readers are teetering on the edge of reality and satire is giving way to something altogether stranger and darker. At around this moment in a review I would usually mention the things I didn't like about the book, but in this case that's impossible, because I loved Number 11 as much as I've loved all Coe''s novels - I'm already looking forward to the day when I come to re-read it.